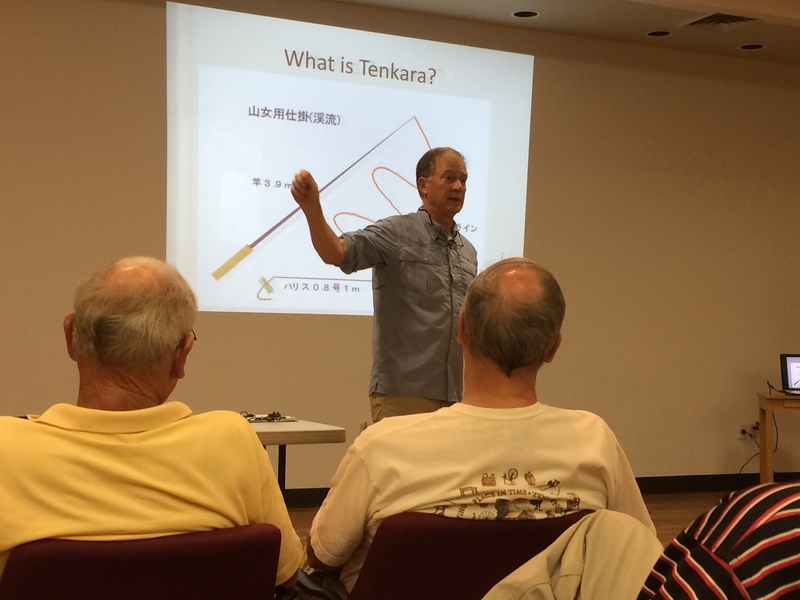 Okay, I’ll admit it, when I’m not teaching, guiding or fishing tenkara, I like to talk about tenkara. Thursday evening was just such an opportunity. I was kindly invited to give a presentation on tenkara style fly fishing to the Pisgah Chapter of Trout Unlimited, based just down the road in Hendersonville, NC. What a wonderful group of fly fishers and cold-water conservation advocates. I was pleased to find out that there were already a few folks in the group that had tried or were fishing tenkara. As fellow western North Carolina anglers, they too have discovered how well suited it is to the streams and fish in our area. Based on the Q&A there were also quite few “potentials” who wanted to give it a try. I hope my presentation will help them get started. If you’ve been thinking about trying tenkara I have only two words of advice….do it! If you are already a fly fisher, tenkara or otherwise, and aren’t a member of Trout Unlimited, I encourage you to look into it. TU is fighting to preserve, protect and restore America’s cold water fisheries and their watersheds. In my humble opinion, that’s something all trout anglers should care about.